The figures are all from Roundway. I really like the figures for their late 15th century look and because the sculpting isn't overly complicated. In the past six weeks I've been busy working on quite a few new hobby projects. Unusually for me I now have lots of projects underway; normally I only have one or two. This means I've not yet finished any of them. Typical wargamer I hear to say. I have however made a lot of progress. I've nearly finished: my Bosworth commanders, some late medieval mounted hand gunners and some Russian mercenary cavalry for my Lithuanian army. 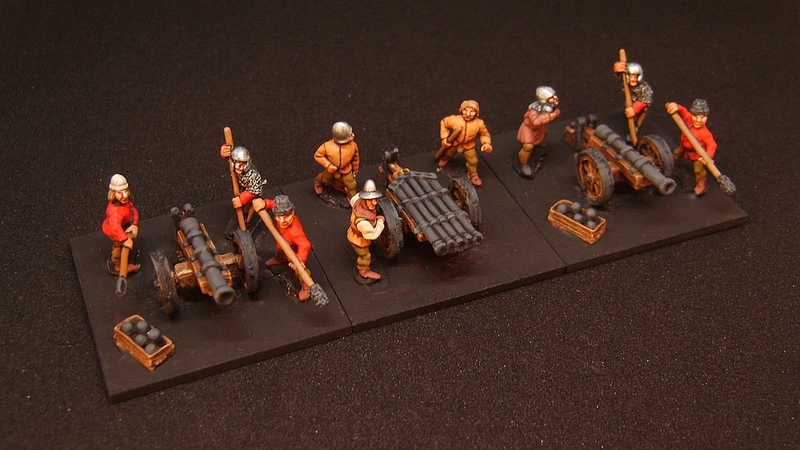 Plus I have made a start replacing the War of the Roses heavy infantry I sold last month. I've used a different set up for my light box to match the bases. I didn't finish the basing so people can easily match their existing basing scheme. Second played third in the game of the day.